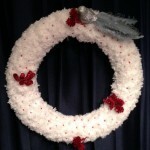 We’re already at the end of November, can you believe it? Ryan and I finished up the last of the tofurkey today. 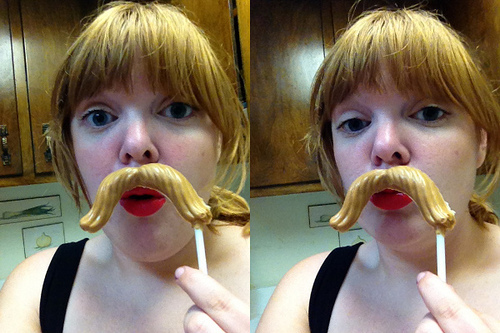 I thought a great way to celebrate was with these rad chocolate mustache lollipops. 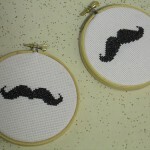 No-shave November is a awesome concept, all the boys walk around with beards and they all look cute. 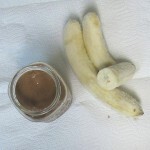 For those of us who can’t quite grow the facial hair to make your momma proud, there’s always this chocolate substitute. 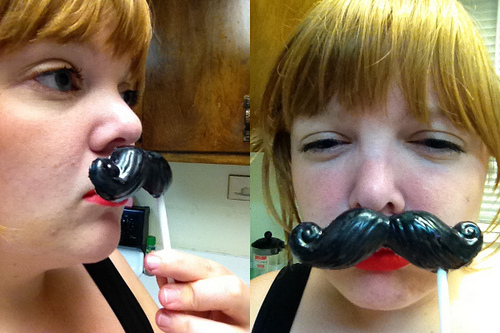 I used two of these mustache lollipop molds and this craft took like, five minutes. Bonus. 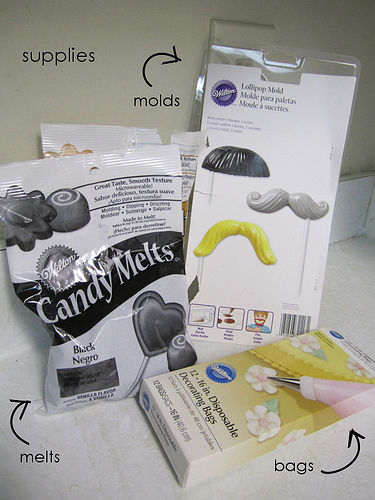 Here are the supplies: candy melts, lollipop molds, and decorating bags. 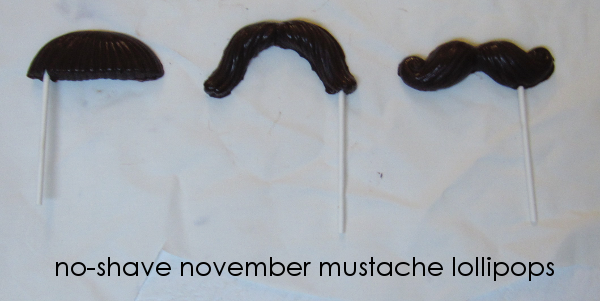 You’ll also need lollipop sticks (not pictured). Fill a decorating bag about 3/4 full of chocolates. 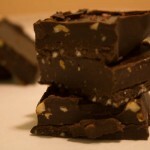 Melt the chocolates in a microwave on medium heat for 15 – 30 seconds at a time. 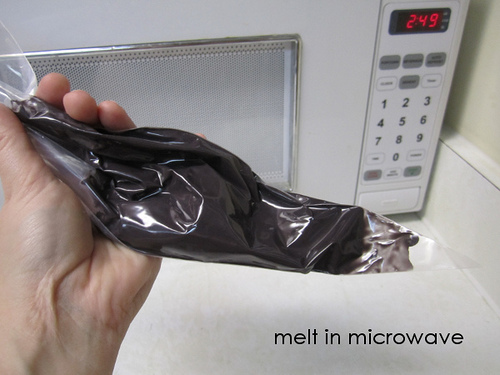 Pull the bag out of the microwave and give it a nice knead each time it’s done warming. It will only need to go in the microwave a few times at this temperature. These things get hot really fast, so be sure not to over-heat them. 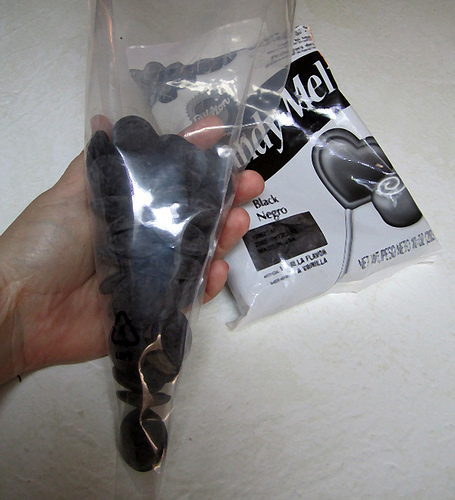 Once the bag is thoroughly melted, cut the tip off of the bag to begin fill the molds. 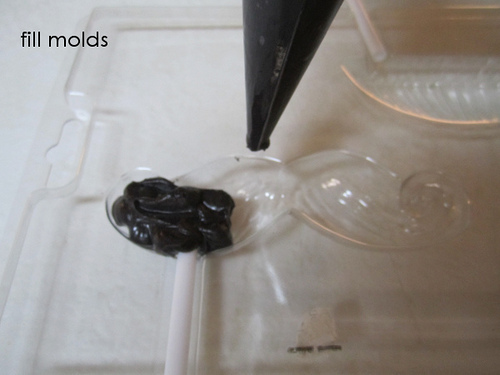 Place a lollipop stick in each of the molds. 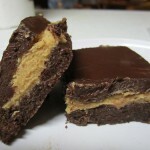 Slowly squeeze the melted chocolate into the molds, making sure to fill in all of the crevices. I found pumping the bag up and down in the mold helped remove air bubbles. Be sure to cover all around the lollipop stick. 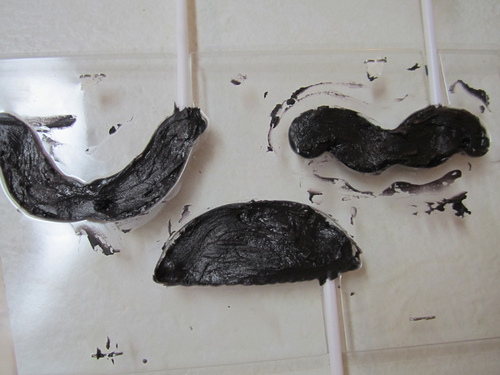 Once you’ve filled the molds, smooth out the backs with a flat surface. 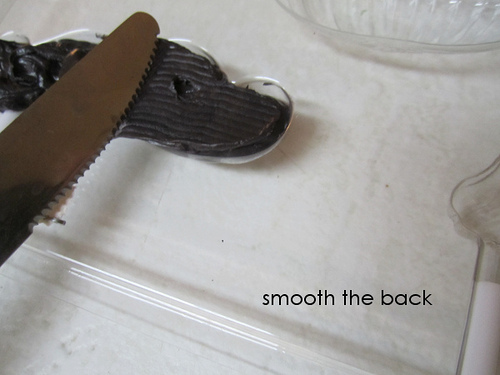 Also, clear away any chocolate that may have spilled over to the edge. I popped them in the fridge for 10 minutes to let them harden. 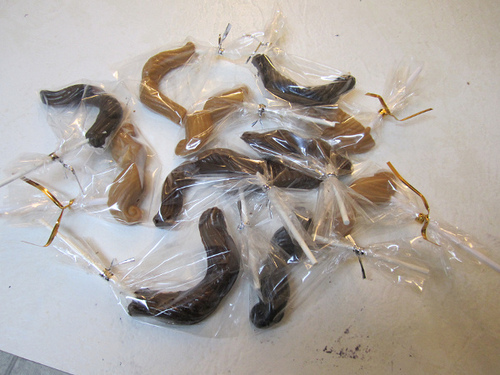 Then I took them out and wrapped them in little baggies. The one in which I look like my dad. The one in which I’ve lost my monocle. The one in which I try not to take myself too seriously.